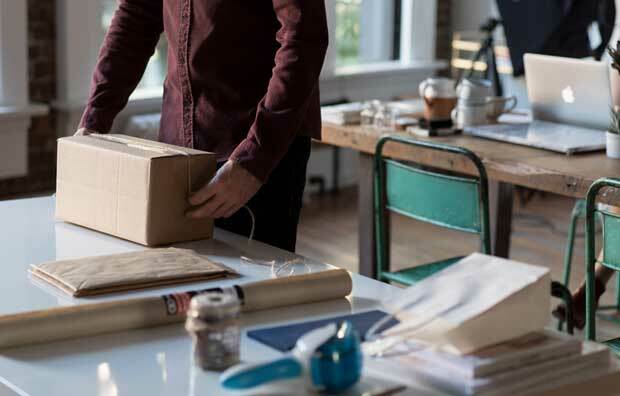 Having to worry about your business mail and packages is just not a problem small business owners can afford having when they start up. Studies have proven that over 52% of small businesses are home-based. When you’re just starting a business, spending money on expensive office space and equipment is usually difficult. 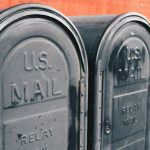 Young entrepreneurs are always looking for alternatives to save money that is much needed but what you don’t know is that your mail is actually costing you more than you think. Approximately over 500,000 new businesses are formed each month yet only a quarter of them stay in business for the long term, 15 years or more. Do you think these successful businesses had to worry about their mail? I highly doubt it. Let me give you ten reasons why you’re business in need of a mail or package forwarding service and explain all the good it can do for your business. Companies that provide a mail forward services play the role of the middleman between a business and the customers. You are provided with a physical, commercial address to use as your business address instead of your home address. You can give this address to your customers, investors, or business partners and receive packages and mail regularly at this address. Your mail arrives at secure and spacious facilities then the company notifies you and you request to have your mail forwarded to you. However, the best virtual mailbox companies give you more than just mailbox forwarding services. You get a set of options to choose from on how to handle your mail like scanning, archiving, shredding, or recycling. You can even set filters and avoid getting junk mail so the mail company will only forward you important mail. Now that you have an idea how this service works, let’s go through why you need one today. 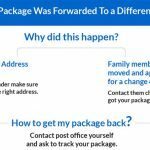 Why do you need business mail forwarding service? If your business requires shipments or even the delivery of important documents, it can become an inconvenience. Start-up business owners are always busy looking for new investors, working, or moving around so it can be a hassle being tied down to a delivery date. You’ll either need to drive to the nearest USPS Post Office, which isn’t necessarily “near” or you’ll ask a neighbor or relative to pick up your mail, or in worst case scenarios, your package will be delivered to your doorstep and wait for you to come home. 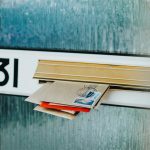 Inefficient mail delivery risks the safety of your mail, packages, and even your identity if your mail contains bank statements or personal documents that are left unattended. At PostScan Mail, a qualified provider for forwarding mails and packages, there will always be someone available to sign for your package. Your mail and packages will be safely stored at high-tech facilities, waiting for your command to have them forwarded. Leaving your mail unattended in your mailbox or your packages out in the open can lead to theft. Your identity can be compromised and will take weeks, maybe months to recover and if you’re hiring help, it’s definitely pricey. As for your packages, unless you have insurance on your products, you’ll have to file a complaint and wait for things to sort out or repurchase your product again eventually. Why let mail be a problem besides your other business struggles? PostScan Mail has around-the-clock security guards at all facilities and only certified, experienced employees handle your mail and packages. As for your personal info, it’s all well-protected behind passwords and even more advanced encryption for your safety. Your mail will be handled with care and confidence at all times. Other than the costs that you bear in case anything goes wrong with your mail or packages, postal mail takes a toll on any small business. If it’s not gas money for the weekly drive to the Post Office than it’s postal fees, stamps, or shipping fees. Your business can be better served with this money! Also, let’s not forget the equipment you need if you have a mailroom, for example, a shredder, scanner, printer and so on. Plus, think about all that extra space saved? Overall, it’s a virtual solution for your mailroom or mailbox. With a digital mailbox, you can get instant postal mail scanning and forwarding services, shredding, recycling and archiving just by sending in a request. Now, you have better cash flow, more valuable time, and more space! As previously stated, with a high percentage of small businesses being home-based, this only leads to building an unprofessional reputation for them. Customers would mostly buy from a reliable business with an office than a home-based business, even if you’re offering better prices. So how do you fix this? Don’t go hurrying to rent an office or even a virtual office, the solution is actually much more simple and realistic. With a virtual mailbox, you get a real street address for your business. 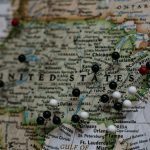 PostScan Mail has over 40 locations nationwide to choose from. 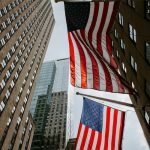 Want an address in New York or California? You got it! Feel free to add this address to your business cards, website, and stationary; you deserve to show it off. Your customers, investors, or partners can now send all business mail to your corporate address and you can keep your home address private. Your home should never be cluttered with work nor should you be surprised by a customer visit assuming the address was your office. Also, a corporate office in a capital city can draw in bigger business leads which is always a good thing. Remember all those times you didn’t properly shred or recycle and felt guilty afterward? Now with just one click, all your paper mail can be taken care of in an environment-friendly way. Having messy piles of mail thrown around means something important is bound to get lost. If it was a legal document or contract, your customer won’t be happy. A messy environment that causes delays and misplacements reflects badly on your business. Now that your physical mail is digitalized, you can access it anytime from your phone or laptop. This means you will always be on top of all important mail from customers or partners and handle it instantly. Faster customer response times leads to better customer service, meaning more customers and a spotless reputation! Instead of using your home as inventory for your packages, products, and mail, PostScan Mail offers you free storage space for up to 30 days from your package’s arrival. If you still need the space after that, it’s yours for a small monthly fee. Stop using your home or garage as storage, no one likes a mess. When signing up for a mail forwarding service, you only need to apply for a change of address once and then the address is yours for good. Your business mail shouldn’t be tied to you moving at any time or changing offices, that’ll just confuse customers. 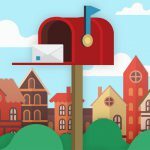 With renting your virtual mailbox, you’ll have a secure and stable mailing address without needing to go through multiple changes of addresses. Also, once we receive your packages, they can be forwarded to you wherever you are (domestic and international shipping) not just to your home address. With just one account, you can have multiple users. If you have any freelancers, remote employees or contractors, they can also receive mail at your business’s address. Each can log into the mailbox using their own username and password, view and control their mail separately. Lastly, if you don’t want to take my word for it, take your own. 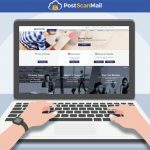 You can now enjoy a virtual mailbox and package forwarding with PostScan Mail and try out the service, test it yourself. So sign up and watch the magic happen!